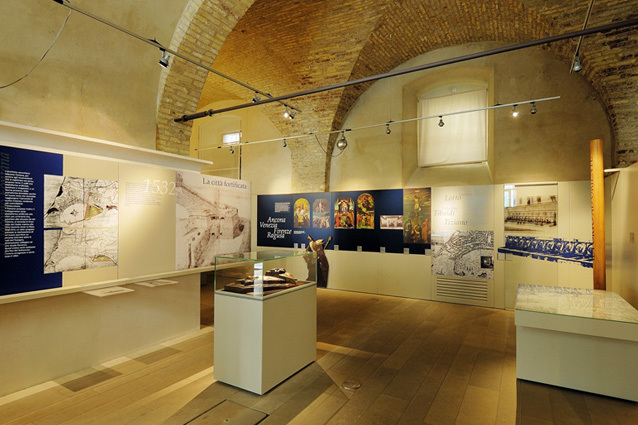 If you want to know and learn the history of Ancona this is the museum for you. The City Museum is located in Pope Square, just below the Pope Clement XII statue. Through educational panels, archaeological artefacts, photographic reproductions, maps, reconstructive plastics, artwork and documents you will discover the history of Ancona, starting from its Greek origins, through the Roman period and early Christian, up to the French occupation and the Unification of Italy. It is even available a cell phone with the application for the museum guide to accompany you throughout the tour, you just have to leave a document at the entrance. Free for children under 16 years old, disabled and carers, school groups, visitors and participants in museum activities. September 15 to June 14: Tuesday-Thursday 10-13, Friday, Saturday, Sunday and holidays 10-13 / 16-19. Closed on Monday, December 25 and January 6.